On this week's show, we interview Fr. Tom Gibbons, CSP, who serves as Director of Development and Production at Paulist Productions as we discuss the upcoming release of the Collector's Edition of Romero in anticipation of the canonization of Archbishop Oscar Romero of El Salvador on October 14, 2018. Check out all of our book and movie picks at Lisa's Amazon Page. 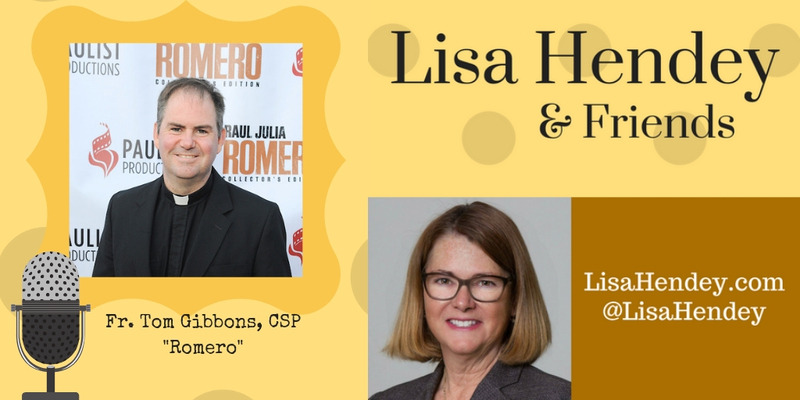 For Lisa's speaking schedule visit www.LisaHendey.com. Send your feedback to lisahendey@gmail.com or connect with Lisa on social media @LisaHendey.